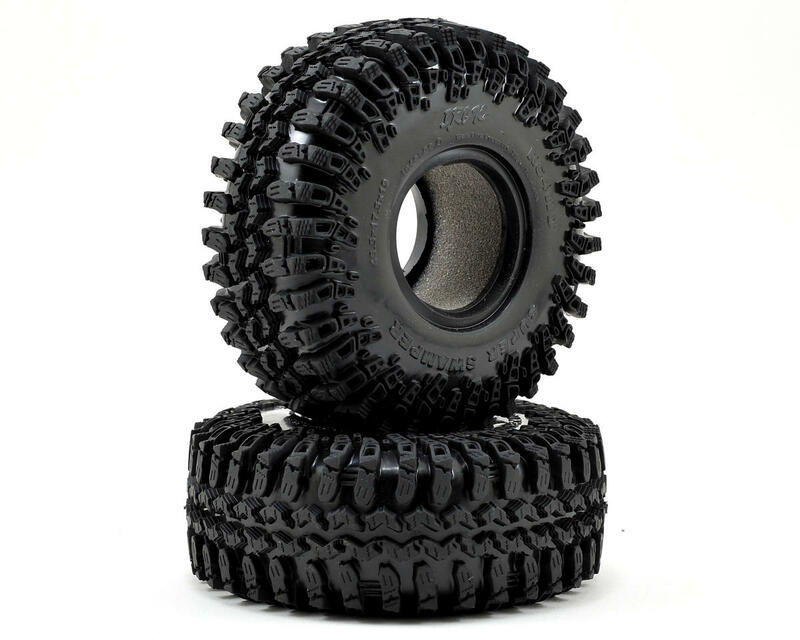 This is a pack of two RC4WD Interco "IROK Super Swamper" 1.9 Scale Tires. 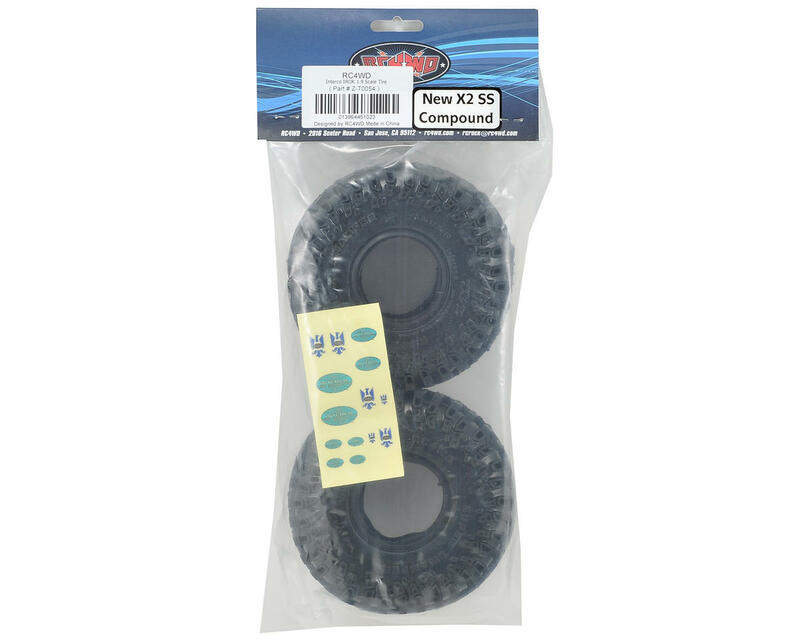 These officially licensed tires are notorious for handling rocks, mud, snow and what ever else you can throw at it. NOTE: Due to the different methods used to design an manufacture tires and wheels, RC4WD can not guarantee the fit between RC4WD wheels/tires and other brands of wheel and tires. For the best results, use RC4WD tires and wheels together. In some cases RC4WD wheels and tires will work with other brand wheels and tires, but RC4WD can not guarantee the outcome. Awesome tires, but insert foam is a little bit to hard. Need to buy softer inserts. They are just brilliant! Snow, mud, dust — nevermind.